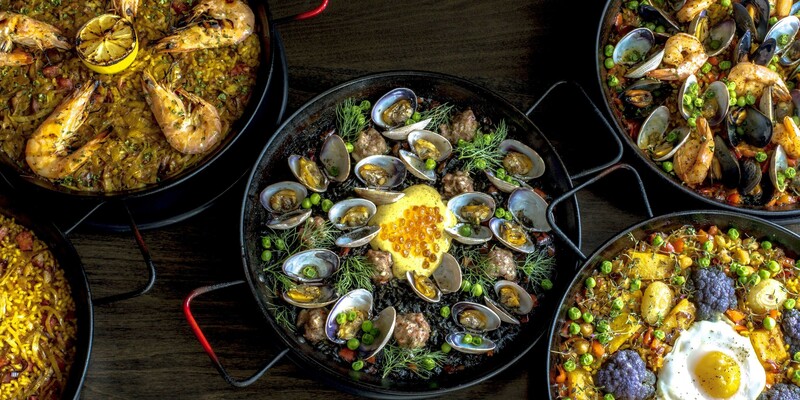 The paella will reflect the restaurant’s emphasis on seafood. A new Spanish restaurant will be coming to Montclair Village in Oakland in 2019, helmed by the owners of the popular La Marcha Tapas Bar in Berkeley. Chefs Sergio Monleón and Emily Sarlatte are the duo behind the business. The new 3,000-square-foot restaurant is named Alcalá (2084 Mountain Blvd., Oakland), which translates to “citadel” in Arabic. “It’s a play on the fact that every village in Spain had a citadel, and we are moving to Montclair Village,” Monleón told the Express. The name is also inspired by the restaurant’s aesthetics, which will be rustic and castle-like. Raiden Brenner will serve as executive chef. Brenner has cooked in the kitchens of Oliveto and Duende, among other restaurants. Brenner traveled to Spain earlier this year for inspiration for Alcalá. “He gets our vision really well. He understands our cuisine and adds new elements that will make it unique,” Monleón said. The menu will feature Spanish cuisine, focusing on paellas, which will be cooked in a wood-fired oven. (La Marcha also specializes in paella, but the selection at Alcalá will be different.) There will also be a focus on using the whole animal, butchered in-house and grilled in the wood-fired oven, along with seafood dishes, tapas, a full bar menu, and meats aged for house-made charcuterie. A rendering of the dining room. While La Marcha is a more casual tapas bar, the plan for Alcalá is a more formal full-service restaurant with bigger tables and a quieter atmosphere. All of it will come together in a rustic style. “The style of using whole animals is a nod to the cuisine of an earlier time,” Monleón said. Chef Sarlatte is an Oakland native who graduated from Laney College’s culinary program and spent time studying in Spain, where she fell in love with the cuisine. Monleón was raised in California in a Spanish household and spent six years living in Madrid, Spain. Sarlatte and Monleón met working at Trattoria La Siciliana in Berkeley. In 2012, they teamed up to start Ñora Cocina Española, a Spanish catering company, serving paella and other dishes at weddings and festivals such as Eat Real. In 2015, they opened La Marcha Tapas Bar. Alcalá joins their Gran Via Restaurant Group, which includes La Marcha, the upcoming Mile Limit bottle shop, and Ñora Cocina Española. There is not a date set yet for the new restaurant’s opening, but owners are shooting for sometime in 2019. The site is currently under construction, with a new building going up on the corner of Mountain Boulevard and Antioch. 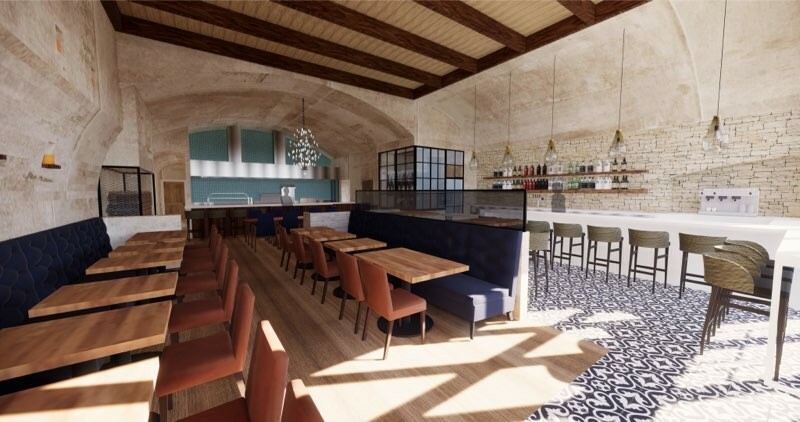 The restaurant will be on the ground floor of the new construction, designed by Lowney Architecture, and the restaurant is being designed by Studio KDA, which also designed Berkeley’s Comal and San Francisco’s Nopalito.